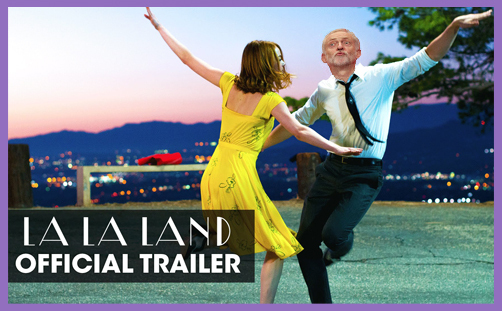 We have another trailer for the emerging ideology of Corbynomics. Jeremy Corbyn has said there should be a law to establish a maximum wage, because it is “the fairer thing to do”. He didn’t say what the figure ought to be, but he did harp on about iniquitous income disparity and the need for a more egalitarian society. “I would like there to be some kind of high earnings cap, quite honestly,” he said. It’s good to speak honestly. So, in all honesty, the idea has its ethical and moral attractions. A 100% tax rate on earning over a certain limit (for that is what it amounts to) would inhibit corporate greed, preventing CEOs being paid £millions in bonuses on top of their basic salary of £5million. There’s a degree of economic logic: once you have a minimum wage, why not a maximum one? If both are fixed by the state, the government then possesses another lever of control to ensure greater social justice. And when the wage ceiling is capped, it isn’t so easy to love Mammon, which is the root of all evil. If the most you can ever earn is £1million, you won’t waste your life coveting another, and then another, and then another. Firstly, who decides the threshold, and by what criteria? Jeremy Corbyn said a wage cap would be “somewhat higher” than his salary (of c£138,000). That’s handy. He made the point that the salaries some footballers receive are “simply ridiculous”. “Why would someone need to earn more than £50m a year?” he asked. Indeed. but why would someone need to earn more than £20m, or £10m, or £5m? As Shakespeare observes, the question of need is a delicate basis for assessing rights of possession: even the poorest have things they don’t need. The necessity of need is an inescapable variable: the sick need more than the healthy; the jobbing teacher in Kensington needs more than the executive headteacher in Hull. Should a cleaner in Belgravia earn more than a bank manager in Bolsover? Why does the bank manager need to earn more than his cost of living? Why should anyone be permitted surplus? Is there anything wrong in earning £50million if you’re saving, giving, doing and living? Jeremy Corbyn obviously thinks so. Perhaps he’ll think again when he proposes an actual figure for this national maximum wage and football fans all over the country find out which of their heroes will apply for immediate international transfer. Why would someone need to earn £260,000 a week (£13.5m a year), as Wayne Rooney apparently does? What on earth does he do with it all? Is it anyone’s business but his (and Coleen’s)? Manchester United obviously believe he’s worth it, and their fans obviously think he’s worth it. So when Jeremy Corbyn intervenes to cap it at a Wycombe Wanderers level of salary, Rooney will doubtless swiftly jet off to a world elsewhere, along with all of those who believe they’re worth more than Corbyn’s wage cap. You can’t buck the market, as The Lady once said. If Real Madrid pays Cristiano Ronaldo £365,000 a week (£19m a year), why would Rooney not naturally seek parity with Ronaldo if he believes it to be his true worth and someone is prepared to pay it? It is an undeniable lesson of economic history that super-taxes never work. They inhibit growth, disincentivise innovation, deter investment, hinder development and encourage elaborate offshore schemes of avoidance. High taxes obstruct entrepreneurs, frustrate shareholders and cause brain drains. Unemployment rises, inflation soars, and the poorest are hit hardest. Taxing at 100% is just a manifestation of the politics of envy; it is the economics of la la land. Capitalism may not be all virtuous, and the free market is by no means perfect. But if a man be not free to earn without government obstruction, why would he ever bother to do more than the minimum required? And why would he ever bother to give freely from his abundance for the benefit of society if the state has stolen the lion’s share in the name of fairness, equality and justice?